The Wandsworth Guardian has the full scoop, claiming that the Tooting MP has been appointed Minister of State for Transport. He has joined the Privy Council and will attend Cabinet. Excellent! 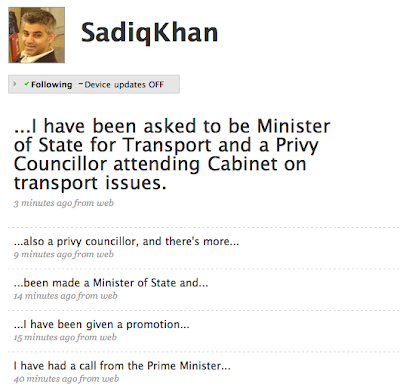 Sadiq is an asset to the government!